Charles Dessalines D’Orbigny, a French naturalist, botanist and geologist, was born in 1806 into a family of naturalists and explorers, the most well known being his older brother Alcide, a noted zoologist and paleontologist. The “Dictionnaire Universel d’Histoire Naturelle”, published in Paris by Renard & Martinet in 1849, was edited by Charles D’Orbigny and is considered one of the best illustrated encyclopedias of natural history. It consisted of 3 volumes and contained 288 hand colored engravings. The publication was typical of the books of this period, featuring highly detailed and scientifically accurate illustrations that appealed to both the academic and general public. Topics included mammals, birds, insects, fish and plants. The hand colored engravings are by French artists such as Susemihl, Travies, Oudart and Pretre. 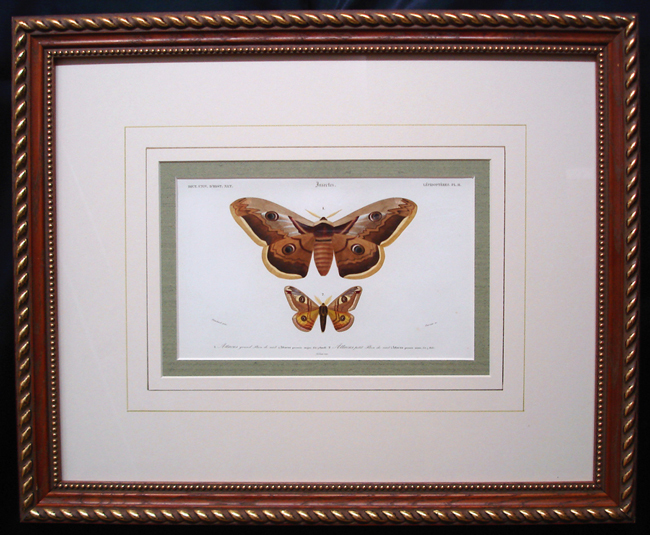 The prints include no text, however the order, genus, and specie appear on each, in both Latin and French. Prints from this publication feature very nice original hand coloring.